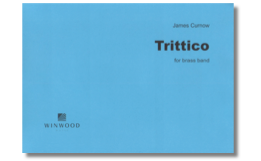 Trittico was commissioned by the Swiss Brass Band Association for their national championships in 1988. A trittico is a tripych or group of three paintings or musical compositions based on a common theme and presented or performed together. 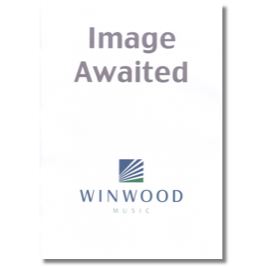 The present work is a set of three extended variations on the American shaped-note hymn Consolation. The work opens in grand style with motives based on intervals of the hymn tune. The opening motif, and smaller fragments of it reappear throughout the piece and serve as an underlying element alongside the theme itself. 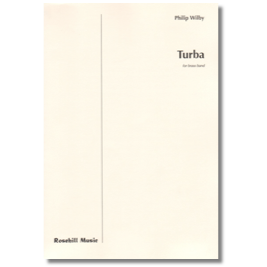 The first variation is essentially a scherzo which echoes the minor mood of the theme. The hemiolic opposition of compound and duple time is used to good effect and, again, the main motif is never far away. This is music with energy and forward movement. The second variation gives the soloists a chance to shine. The mood is tranquil, yet there is always some activity and the musical material pre-echoes the third variation. The third variation is another scherzo-like section, the main theme accompanied by a rhythmic ostinato. Toward the conclusion there is a short aeleatoric passage – a variation within a variation allowing half the band to make their own variaitions in a cachophony of sound. An energetic coda draws together several elements to round off a work brim full of drive, energy, and self-propelled enthusiasm. 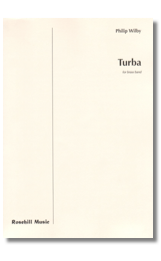 Turba: A Study in Turbulence after Leonardo da Vinci is an abridged concert version of the brass band piece Leonardo. 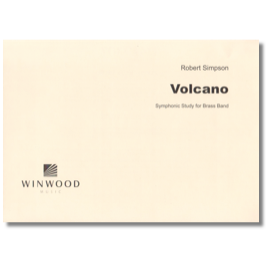 One of the composer's most enduring works, Volcano was written for the National Brass Band Championships of Great Britain in 1979. 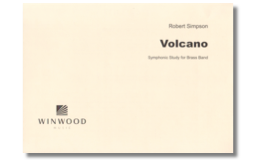 The composer writes: "While it is, of course, possible to listen to this piece with the erruption of a volcano in mind, it is also possible to interpret the title in a figurative sense – that is to say, as one might refer to a 'volcanic temperament'. Alternatively, some may prefer to listen to is simply as a piece of music. I would recommend the latter." Vortex – a mass of swirling fluid; the centre of the vortex is static whereas the swirling mass becomes faster as it is sucked inexorably towards the centre. 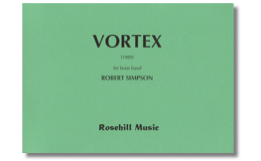 This is reflected in the structure of Robert Simpson’s final work for brass band.  It is cast in a single fast tempo movement made up of three sections. Each section begins softly but actively and grows in volume and intensity to a great discharge of energy on a unison note. Each section is longer than then the last and each unison discharge is a semitone lower than the last. The effect is cumulative and the closing pages witness an explosion of energy from the full band gradually rbeing drawn into the unison final note. 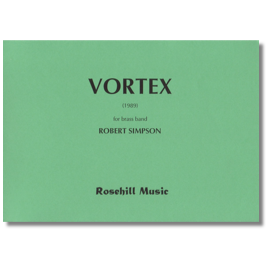 Vortex was commissioned by the IMI Yorkshire Imperial Band and first performed at the Leeds Music Festival on 6 July 1990.